From Compiègne … to the Spain raid of Zafra.. passing by Champclauson. When some of them are at training the others are racing for qualifications! 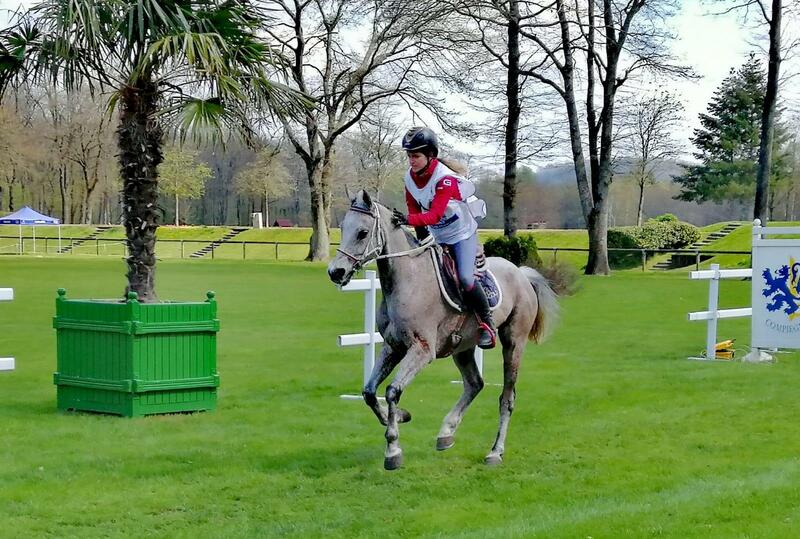 This weekend, at Compiègne, nice takeover for Chams de Bozouls, 10 years old (Farid des Agatchols x Djerlie de Bozouls), under the saddle of Melissa Bisoffi, which grades 12th of the CEI* and for Fannia de Bozouls, 9 years old (Farid des Agatchols x Niade de Bozouls), under the saddle of Sandrine Lance, which grades 17th of the CEI**! Regarding the Champclauson races, we can notice the successful 40 km training races of Salim de Bozouls, 9 years old (Prim de Syrah x Samira de Bozouls) which graded 8th at Montcuq last November and Danza de Bozouls, 6 years old (Muguet de Pascade x Assari de Bozouls) which qualifies. 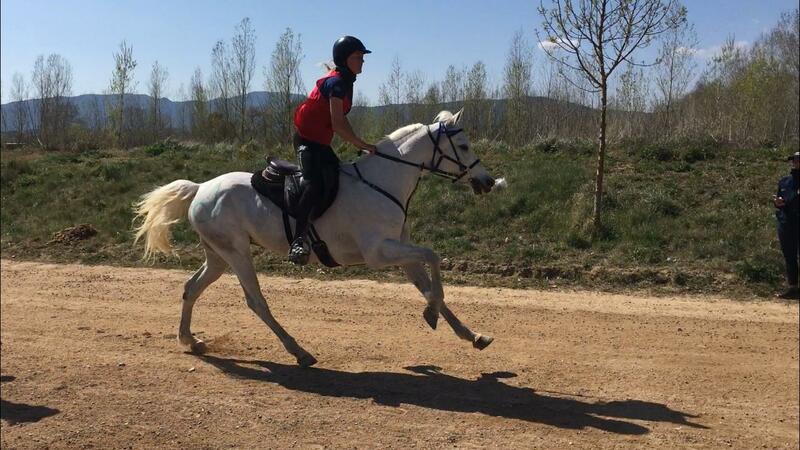 In Spain, the 8 years old Bozouls all qualified: Assad de Bozouls (Tornado de la Forêt x Prayda de Bozouls) on 40 km & Farima de Bozouls (Farid des Agatchols x Primara de Bozouls) on 80 km! Congratulations to the teams of Marine Vial, Melissa Bisoffi, Sandrine Foiry & Léa Vogler. 1 win and 3 CEI qualifications ! Tordera : On the CEI*, beautiful victory by Saprima de Bozouls, 13 years old (Prim de Syrah**** x Samira de Bozouls****) & qualification of Créole de Bozouls, 7 years old (Tornado de la Forêt* x Aljafie de Bozouls). Qualification of Qaïs de Bozouls, 8 years old (Prim de Syrah**** x Aljaîma de Bozouls****, picture below) on the CEI**. Durance : Grading of Fafa de Bozouls, 9 years old (Farid del Saul**** x Falie de Bozouls**) on the Durance CEI*. Excellent heart recovery rate and 100% of qualification is the keys for success of the Bozouls! 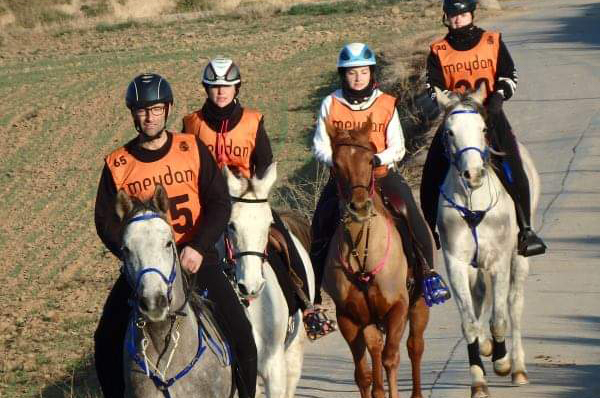 Five horses qualified on the Escamp’s amateur 40 km: Chacha de Bozouls, 7 years old (Guardor de Bozouls*** x Meduraine de Bozouls**); Azem de Bozouls, 8 years old (Med des Agatchols* x Nafa de Bozouls); Agadjai de Bozouls, 10 years old (Guardor de Bozouls*** x Aida des Agatchols); Fares de Bozouls, 8 years old (Farid del Saul**** x Aïma de Bozouls) and Calypso de Bozouls, 7 years old (Jormane de Rouaisse**** x Befara de Bozouls). Two 6 years old mare qualified on the SHF race: Dibaba de Bozouls (Jormane de Rouaisse**** x Chérie des Agathcols***) and Delia de Bozouls (Mahabb x Udoka de Bozouls (Dormane)). Zick de Bozouls is an 11 year old gelding, by Melfik D’alauze x Zazie de Bozouls***. 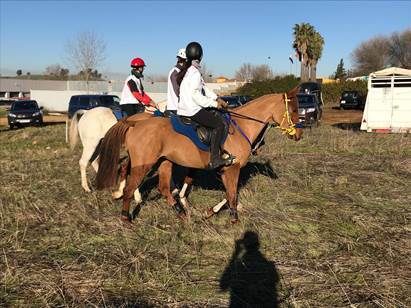 Last Saturday, under the saddle of his trainer, Léa Vogler, he graded 4th of the Reguenos de Monsaraz CEI*, in Portugal. What a great racing resumption for Zick which ran with an average speed of 21 km/h. Congratulations to Léa Vogler and all the Enjoy endurance team. Meanwhile, in France… Two of our young fillies qualified on their first 20 km SHF race at Champlclauson : Falbala de Bozouls (Med des Agachols* x Grâce de Bozouls***) and Fairydream de Bozouls (Med des Agatchols* x Djerba de Bozouls****). 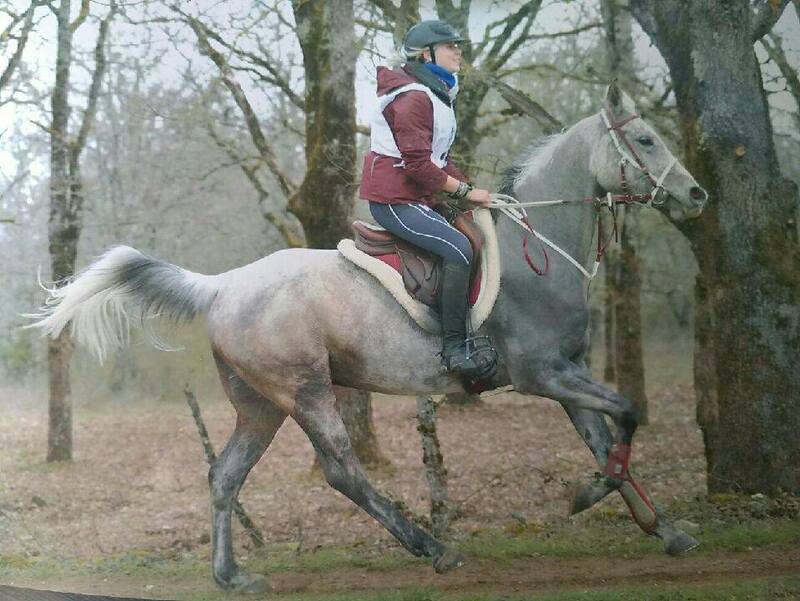 Cremps: Zardor de Bozouls, a 12 year old gelding by Guardor de Bozouls and Zize des Agatchols (IRE 121) trained on 60 km with Mélissa Bisoffi, while two of our young fillies, of 4 years old, qualified on their first 20 km with Vincent Gaudriot : Fullmoon de Bozouls (Muguet de Pascade x Ben des Agatchols), and Folie Douce de Bozouls (Muguet de Pascade x Zelie de Bozouls by Dormane). Sant Feliu : Charly de Bozouls (Farid del Saul x Falie de Bozouls by Faouzi), 7 years old, qualified on 80 km thanks to his trainer, Robert Diez Noguera, Diarka de Bozoul (Prim de Syrah x Samira de Bozouls by Rim), 6 years old, qualified on 80 km thanks to her trainer, Sylvia Yebra, Barq de Bozouls (Dahess x Guarnica des Agachols, by Dormane), 8 years old, trained on 60 km with of Silvia Yebra’s team, and Créole de Bozouls (Tornado de la Forêt x Aljafie de Bozouls by Faouzi), 7 years old, trained on 60 km with of Silvia Yebra’s team. Natifa de Bozouls, ranks on the ABU DHABI’s President Cup CEI***! Eventhough she isn’t part of the stud farm, Natifa is still a Bozouls ! Congratulation to Adrien Benedetti and his great and large mare, Natifa de Bozouls (Faouzi x Naty des Agatchols, by Prim de Syrah), which rank 115th out of 300 starters, on the ABU DHABI’s 160 km President Cup CEI***! After her great race at Mompazier, Natifa still continue to impress us! It is always a great pleasure to see a Bozouls shine thanks to his new owner! Farima de Bozouls a filly by Farid del Saul**** and Primara de Bozouls** (Prim de Syrah****) gets qualified on her very first 40 km race. After a short broodmare experience, Farima rejoins her endurance career!